A series of Forestry & Environmental Studies online courses examining the nexus of cosmology and ecology is now available to global learners through Coursera, the world’s largest provider of massive open, online courses (MOOCs). The four six-week courses, which weave the discoveries of evolutionary science with the humanities — such as history, philosophy, art, and religion — are the School’s first MOOCs and the first online “specialization” offered by Yale. 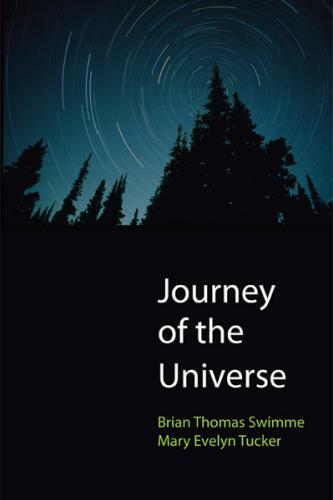 Offered under the theme, “Journey of the Universe: A Story for our Times,” the specialization is taught by Mary Evelyn Tucker and John Grim, senior lecturers and research scholars at F&ES and the Yale Divinity School. Tucker and Grim co-produced the 2011 Emmy Award-winning film, “Journey of the Universe,” which premiered at F&ES and was broadcast on PBS. The film and the book, published by Yale University Press, provide the source material and inspiration for the online courses. (Tucker co-authored the script and the book with evolutionary cosmologist, Brian Thomas Swimme.) A series of interviews Tucker conducted with scientists, historians, and environmentalists — called “Journey Conversations” — is also a rich resource for the classes. These courses will be offered throughout the academic year and enrollment is now open to anyone. Learn more about this offering on the F&ES website.